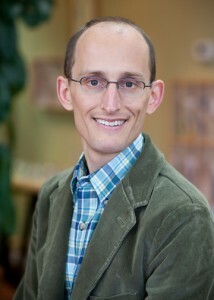 Mark Bricca, N.D., L.Ac., recently joined the staff of the Mederi Centre for Natural Healing in Ashland. A naturopathic physician and acupuncturist, Dr. Bricca focuses on the treatment of cancer and other chronic diseases, including autoimmune disorders, cardiovascular disease, and endocrine imbalance, as well as anxiety and depression. The Mederi Centre for Natural Healing is part of the nonprofit Mederi Foundation. Founded and led by master herbalist and certified nutritionist, Donnie Yance, the Foundation promotes a holistic, comprehensive approach to healing and wellness that combines botanical and nutritional medicines with pharmaceutical medicine and advanced diagnostics. Dr. Bricca, what inspired you to become a naturopath? To answer this gets into my personal story. I feel it’s karmic, or part of my spiritual path. I was born almost three months premature. I was also born with an inherited immunological deficiency that was shared by my two older brothers. Until I entered high school, I really struggled with my own health. In particular, throughout my early years until my teen years, I would get pretty bad cases of pneumonia about three times a year. So I was well acquainted with struggling with my own health, and I was attuned to the world of medicine at an early age. Looking back, I also realize that those early experiences showed me what a gift conventional, western medicine can be because I would not be here if not for lots and lots of antibiotics at an early age. But, I didn’t know then that there was any alternative. When I was five years old and my oldest brother was fourteen, he was diagnosed with AML, Acute Myeloid Leukemia. Fourteen was a fairly young age to be diagnosed with that. He was treated for AML for about a year, and eventually, I became his bone marrow donor when I was almost six. Following that, his leukemia was in remission, and then he ended up, due to being so depleted, with CMV pneumonia. One night, my mom left the hospital because she was tired and had two boys at home. She always stayed to check on things, but this night she left. Barry was due to receive a blood transfusion, and the hospital made a mistake and transfused the wrong blood type. So he had pneumonia, and all of a sudden she came back the next morning and he was on a respirator and dealing with a blood transfusion reaction, which even when you’re healthy can be very serious. He ended up, about a week after that, passing away. I think it was all of these experiences that planted in me at an early age some really deep questions about the gifts conventional medicine gave to me and my brother, and also the limitations of that approach. I also wondered, even at that young age, what more might we have been able to do for him. Barry’s death attuned me deeply to seeing how his loss affected my family from what I call a “Healing with a capital ‘H’” perspective, which is not so much about “curing” or saving life necessarily, but is more about bringing peace and wholeness even when that sometimes includes dying. When I saw how my brother’s death affected my family and my mom and my dad, it made me wonder as I grew older how we might heal this, this loss, this grief. It was those seeds, those questions that propelled me on this path. When I went to college, I knew I was interested in medicine but I had this feeling that I didn’t want to go the route of becoming a medical doctor. However, I didn’t yet know the other paths I might choose. At the University of Oregon, I took a class called “Frontiers in Medicine.” One day, a naturopathic physician came to speak to us about her experience and what she did. I’ll never forget that. Her name was Rita Conway and when she left that day I said to myself, “that’s what I want to do.” Naturopathy was an amalgam. It was an opportunity to learn about the whole spectrum: nutrition, herbs, laboratory testing, and pharmacology. I could have a great big toolbox to apply appropriately as needed. So what brings you to Ashland? It feels like the most natural unfoldment, or marriage, for me to be working with Donnie Yance and the Centre for Natural Healing. I’ve found my home with the people of the Centre and also with their approach and healing philosophy. From the first day I met Donnie and then became acquainted with the people at the Centre, I’ve had a sense that this is my tribe and these people are doing what I’ve always wanted to do. So, to say that I feel blessed and grateful to be here would be a bit of an understatement! How would you describe the system of healing, the ETMS, that is practiced at the Centre? ETMS stands for “Eclectic Triphasic Medical System.” Just to tease apart the words a bit, it’s eclectic because it draws from a number of traditions that are in and of themselves coherent healing systems. It draws from conventional biomedicine. It also draws from eastern traditions, both Chinese and East Indian. And it draws from the western physio-medicalist herbalist tradition as well. It’s also eclectic because in this system we use various “toolboxes,” as we like to call them. We have a pharmaceutical toolbox, part of that biomedical stream that informs our system. We have a nutritional toolbox. And we have a botanical or herbal toolbox, too. So we have these various toolboxes that we bring to bear and combine on behalf of each person in order to get just the right combination of maximally-synergistic treatment elements. The ETMS is also triphasic, meaning that in every person we work with we strive to appreciate three different aspects or phases of their being. One of those phases is the individual, his or her constitution and temperament. We aim, with each person we work with, to really get to know that person on a deeply individual level, to know his or her whole health history, and how he or she moves through the world. We really want to understand that person on a biomedical level, on a constitutional level, indeed, on as many levels as we can. A second phase of our triphasic approach has to do with how that person interfaces and interacts with his or her external environment, because that’s a huge determinant of health and/or illness. So how does that person respond to his or her environment, including relationships and work, as well as the physical environment? And then there’s the third phase that has to do with the very specific nature of a person’s illness or chronic health challenge. It often gets a lot of press because it can seem a bit more glamorous, but I don’t think it’s any more important than the other two phases, In fact, it’s the appreciation of all three phases in concert that truly gives the ETMS its power. It’s like when you’re speaking to someone who speaks a foreign language. It doesn’t help much to shout at them. You have to understand the language they speak so that you can speak softly to them in a language they’ll understand. Very often what we do when we treat disease in our present conventional system is think that if we just shout at it, then the treatment will work better. At the Centre for Natural Healing, we take a different approach. We want to learn, to understand the illness so we can speak to it gently, in a loving way, without having to make war with it quite so much. This is the way to treat people effectively and powerfully, with minimal adverse effects. So that’s the third phase: an in-depth study of a person’s particular illness as it’s manifesting uniquely in them. So then we put all of these branches together – a deep knowledge of the person and his or her constitution and temperament, health history, particular organs that need support; his or her relationship to the external environment; and a deep understanding of the specific nature of his or her unique pathology. We put all of that together, and allow all of these different toolboxes – pharmaceutical, nutritional, and botanical – to be used appropriately and in the right combination for each individual, and then we get this very alive, highly individualized way of supporting people that has the greatest capacity to take someone from a state of ill health to a state of flourishing. We have two goals for people. We want them to have a long life, as long as is possible for them. And we also want them to have a great quality of life, to thrive. I like to say that we want the people we care for to flourish. So, hopefully we can meet someone anywhere along this continuum, this stream if you will, and then help them rebuild and regain their health. We can also help people who don’t have serious illnesses but who want to age gracefully and prevent the development of chronic disease. I feel like I’ve literally been drawn to this work, to Ashland, to the Centre for Natural Healing, and to a group of people that feels like my family. I’ve never before met a group of people that is so wholly devoted, so passionate, and so loving with regards to their mission of advancing this medicine and making health care better on a day-in, day-out basis through helping one patient at a time, one after the other. That I get to be part of this shared work is truly tremendous and it brings me so much joy. To learn more about Dr. Bricca and the Mederi Foundation and its Centre for Natural Healing, visit www.mederifoundation.org or call 541-488-3133.